so when I was younger I used to love playing with legos but I always got really frustrated and quit before I finished a project. Then I moved on to Kinetix... remember those? They were like Legos but you had to use tools and the final product moved! I remember one time making a huge ferris wheel in Mr. Modest's living room. Ha! 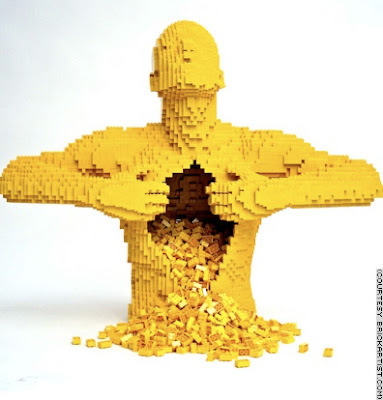 Anyway, I stumbled across this amazing artist that creates sculptures out of legos. 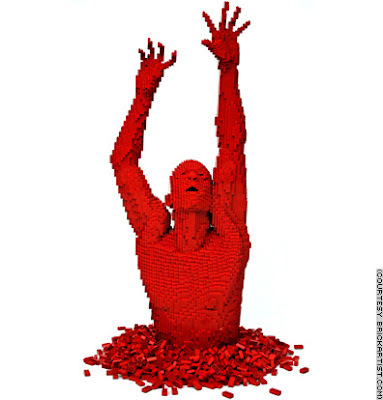 His name is Nathan Sawaya and his stuff is pretty amazing! 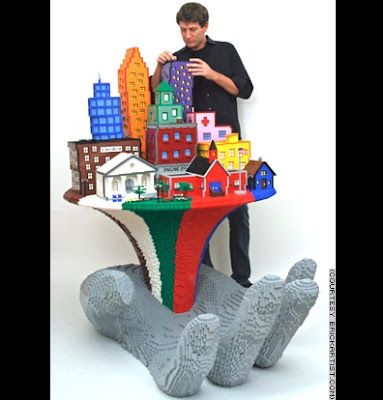 Check it out below and at his website www.brickartist.com.